There's more going on in this ongoing war waged by men and women with terror on their minds than most people realize. The reports, extracted below more or less at random, all arose in the past 24 hours. German police have detained a married couple suspected of planning a terrorist attack, according to a media report. Authorities found a pipe bomb and weapons, and one of the suspects allegedly had contact with al Qaeda. The two suspects, identified as Halil and Senay D, were arrested overnight in Oberursel near Frankfurt, Die Welt newspaper reported Thursday. While searching the suspects' apartment, police found a pipe bomb, explosives, a rifle and ammunition, as well as tools that can be used to detonate a bomb, the paper said on its webpage. 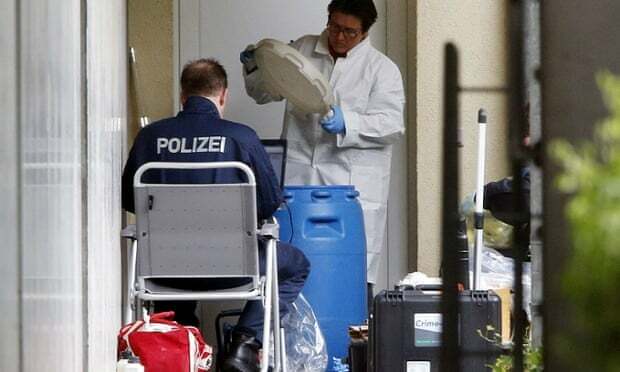 The suspects had been put under police surveillance several weeks ago, after buying unusually large quantities of chemicals of the type which other terror groups in Germany had previously used to make explosives. The couple reportedly used false names during the transaction. Recently, Halil D. was observed surveying an area around Oberursel, near the path of a bicycle race scheduled for May 1. This prompted the police to arrest both him and his wife in order to avoid endangering participants and the audience, according to Die Welt. 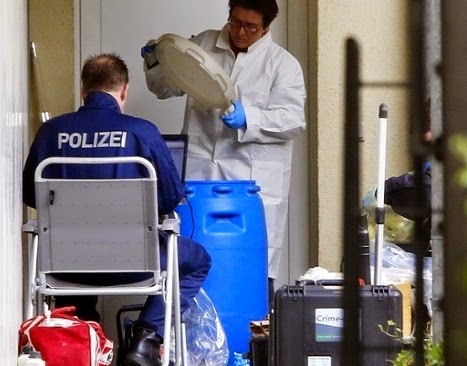 The investigators also believe that Halil is connected to the al Qaeda terror network and Islamist groups in Frankfurt, the newspaper reported. The police confirmed that the arrests have been made and that more places are being searched, but refused to comment on the background. A news conference is scheduled for later Thursday. Kazi Islam was said to have used "flattery and threats" in exchanges on social media to try to persuade Harry Thomas to kill two soldiers and buy ingredients for a pipe bomb. 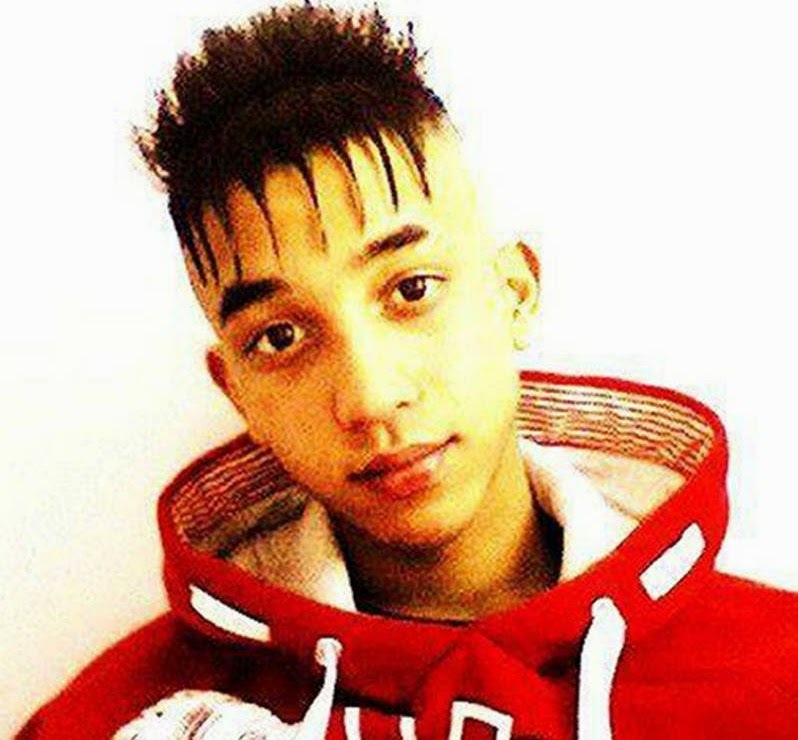 Islam, 18, of Newham, east London, was found guilty at the Old Bailey of preparing to commit acts of terrorism. He claimed he was conducting research... The trial was told Islam befriended the then 19-year-old Mr Thomas in October 2013 - five months after Fusilier Rigby was attacked in the street near Woolwich Barracks - after meeting him the previous year on an IT course at college... Speaking to the BBC, Mr Thomas, who has learning difficulties, described Islam as a "very, very manipulative person" but said he had no intention of carrying out his requests. He said: "He makes out he's this really kind person because that's how he comes across at first but deep inside he's evil." Mr Thomas added: "He's not scared to go to prison, he told me that. And he says he'll end up in a better place for the crimes he's committed. He said his God will look after him and think he's done a really good thing." Commander Richard Walton, head of the Metropolitan Police's Counter Terrorism Command, said: "We continue to appeal to anyone who may have knowledge of people with similar intentions. The earliest we can intervene to prevent terrorism the better. We also remind the public that there is currently a need to protect vulnerable or impressionable adults or children from this brand of Islamic extremism." The plot was said to have been unwittingly sabotaged by Mr Thomas, who failed to buy any of the right ingredients for a bomb and revealed what was going on to "a few friends"... While the court heard he had also downloaded a document on explosives himself, Islam said his interest in extremism was "purely for research purposes and to understand the political side of my religion". Mehran Azami has appeared in Melbourne court after being accused of importing 200 weapons for an alleged Anzac Day terror plot. A third teen has been charged with terror offences relating to the alleged Anzac Day attack plot foiled by police in Melbourne earlier this month... He appeared at Melbourne Magistrates Court this afternoon accused of importing 200 weapons he had ordered online from China. Some of the weapons were intercepted by Australia Post and Customs, however other items are still in the community with authorities keen to retrieve them. Included in the list of outstanding weapons are AK47 tactical knives, batons, butterfly knives, trench knives, knuckle dusters and iPhone tasers... The judge refused bail and Azami will reappear in court in July. 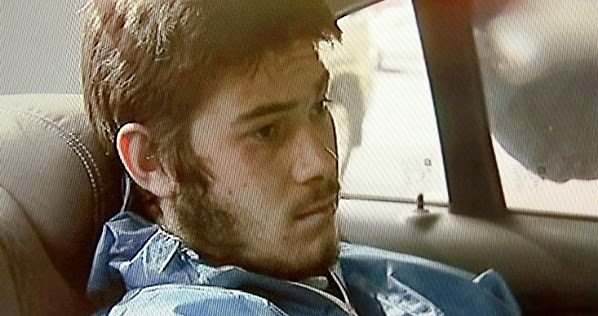 Police allege Azami was supplying the weapons to the two teens accused of plotting the Anzac Day attack in Melbourne,.. The plot was part-payback for the death of a Moslem teenager Abdul Numan Haider, shot dead last September after stabbing two anti-terror police officers in Melbourne. For background, see our post: "24-Sep-14: More on the Islamist knifing attack on police in Melbourne". Some of the young men arrested in the pre-dawn counter-terrorism raids on April 18, 2015 "were with Haider before he attacked two officers with a knife" and had "discussed opening fire at one or more Anzac Day events in south-east Melbourne suburbs, possibly at a local RSL march". RSL is Australia's major veteran's organization. British prosecutors have charged a 14-year-old boy with inciting an alleged plot to carry out a beheading and attack a parade in Australia on Anzac Day... Prosecutors referred to a "terrorism plot", saying that the boy had incited someone "to carry out an attack at an Anzac parade in Australia with the aim of killing and/or causing serious injury to people". "The second allegation is that on 18 March 2015, the defendant incited another person to behead someone in Australia," Ms Walsh said, adding that the prosecution would be in the "public interest"... The boy, from Blackburn in north-west England, is the youngest British person to be charged with terrorism offences. Police said he may be tried in an adult court because of the seriousness of the offences. 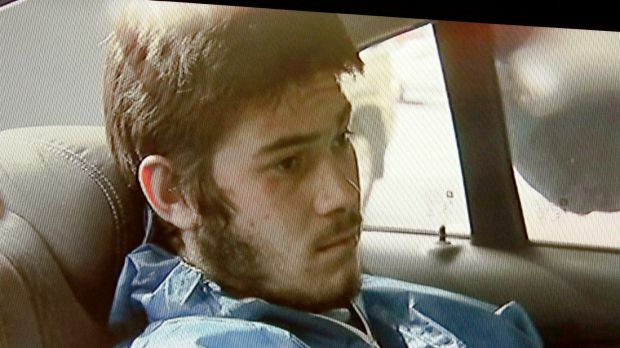 Two teenagers accused of plotting a terrorist attack on Anzac Day have postponed their bids for bail. Sevdet Besim and Harun Causevic, both 18, had been due to apply for bail in the Melbourne Magistrates Court today following their arrest on counterterror raids this month. Mr Besim is alleged to discussed the plot with a 14-year old British boy, who has been charged in the UK with two offences of inciting terrorism overseas. Malaysian security forces have charged six suspected militants for allegedly planning to carry out a series of terrorist attacks... According to court documents, the militants, aged between 25 and 48, were charged with being "party to a conspiracy to promote terror in Malaysia..." Police sources say the group was planning a series of attacks in the country’s capital, Kuala Lumpur, and in nearby Putrajaya, which houses Malaysia's federal government apparatus. The militants had been also planning to rob banks and raid police stations to obtain weapons... Malaysian authorities are worried that the ISIL terrorist group is gaining an increasing number of recruits and supporters in the country. The government has identified nearly 70 of its nationals who have joined ISIL in Syria and Iraq, and five who have been killed while participating in the group’s terrorist activities. Malaysian security sources say another 120 people, including men and women, with suspected links to the ISIL are being kept in custody. A man from Sunderland has appeared in court charged with terrorism offences, including one relating to Syria. Mohammed Kahar of Burnville Road, faces 10 charges, including disseminating terrorist publications, preparing a terrorist act and terrorist financing. Westminster Magistrates' Court heard he was allegedly caught with extremist material including a document called 44 Ways To Serve And Participate In Jihad. The 37-year-old was remanded in custody to appear at the Old Bailey on 14 May. He did not enter any pleas. As we said, a random selection. The real problem? Tomorrow is another day.